Global Finance is one such lending institution. 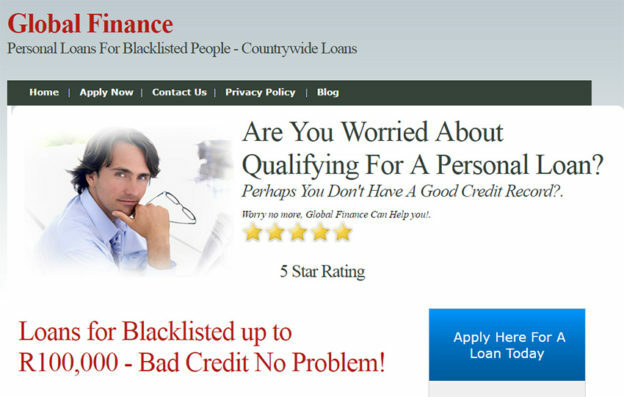 Available countrywide, the lender specialises in providing loans to people with bad credit. Since 2000, Global Finance has provided finance for consolidation of debt, payment for studies and start-up capital for businesses. Loans are available up to R100 000. Global Finance loans – What are the qualifying criteria? What are the benefits of choosing Global Finance? You have an option to apply online, so you don’t have to worry about spending extra money on travel costs. You can also apply at any time of the day.